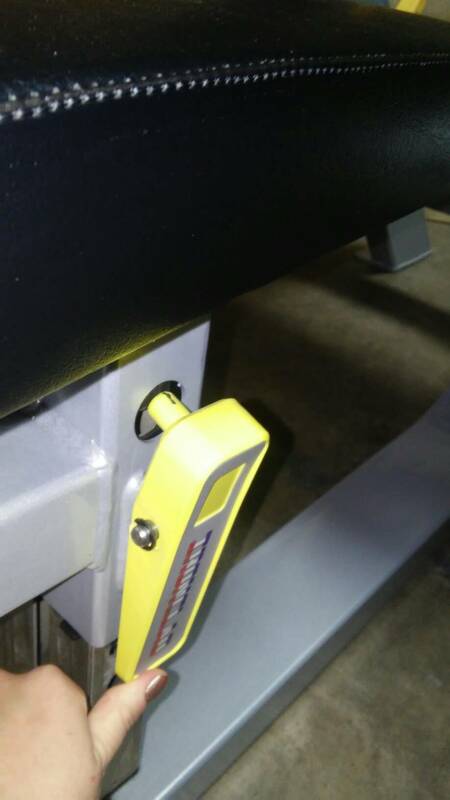 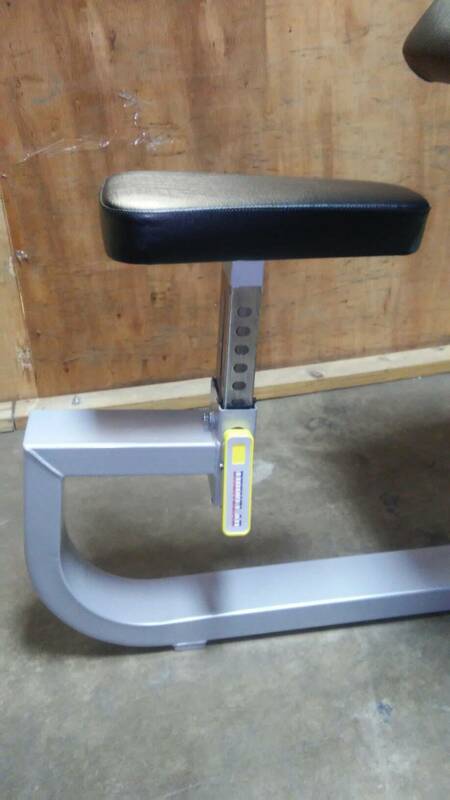 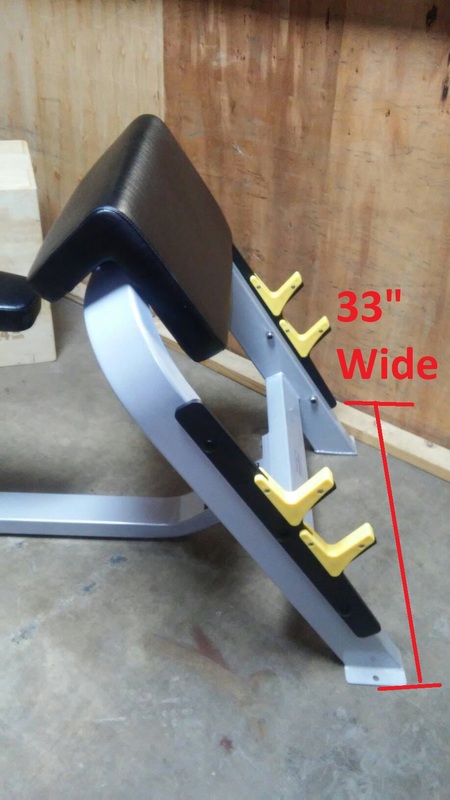 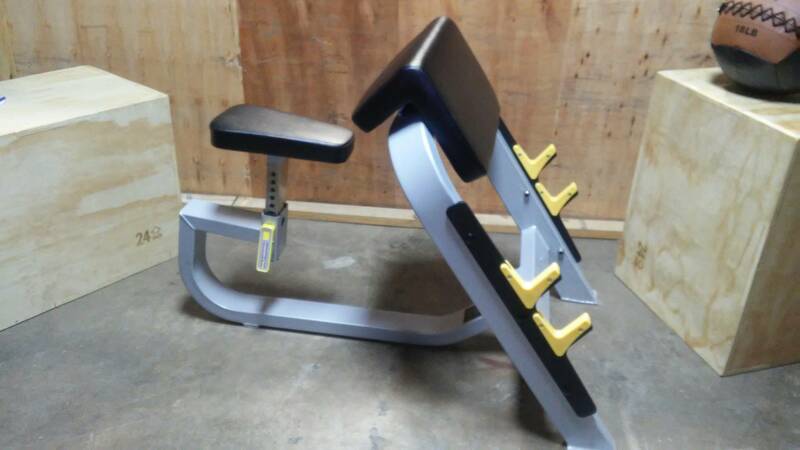 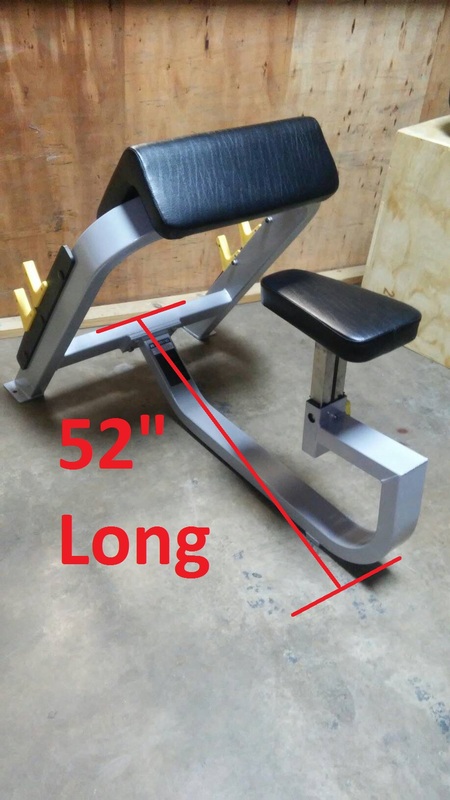 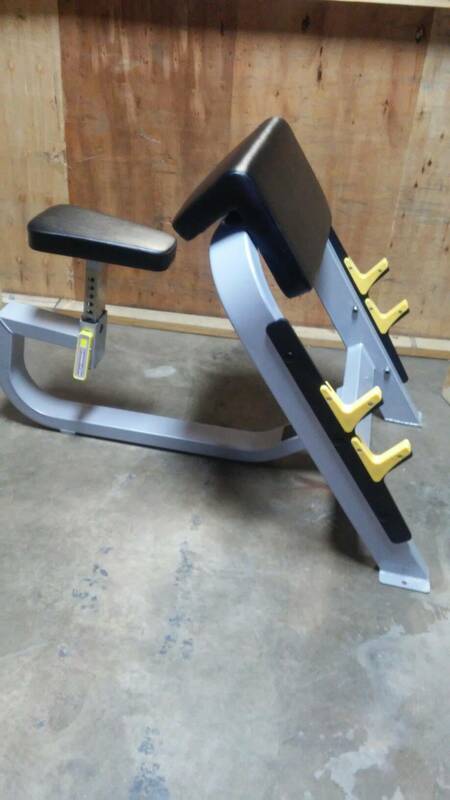 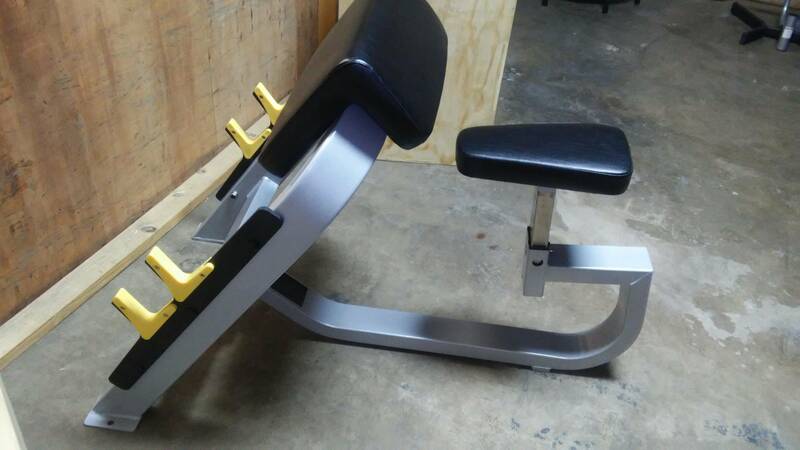 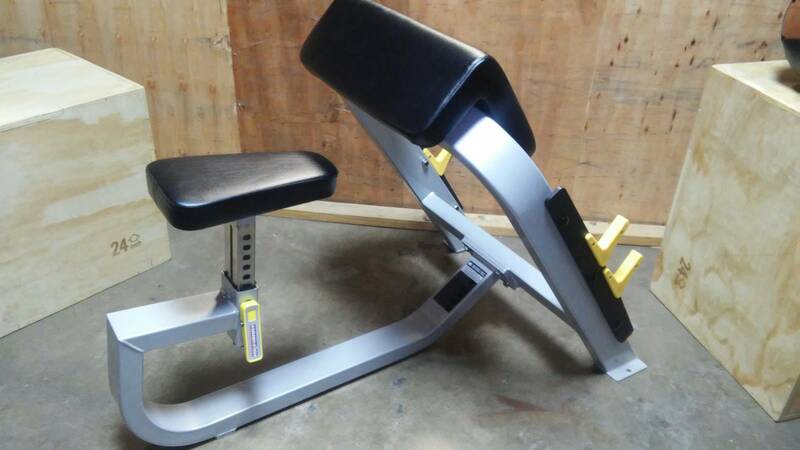 Brand New Ironclad Preacher Curl Bench! This ships on a pallet with packaging. 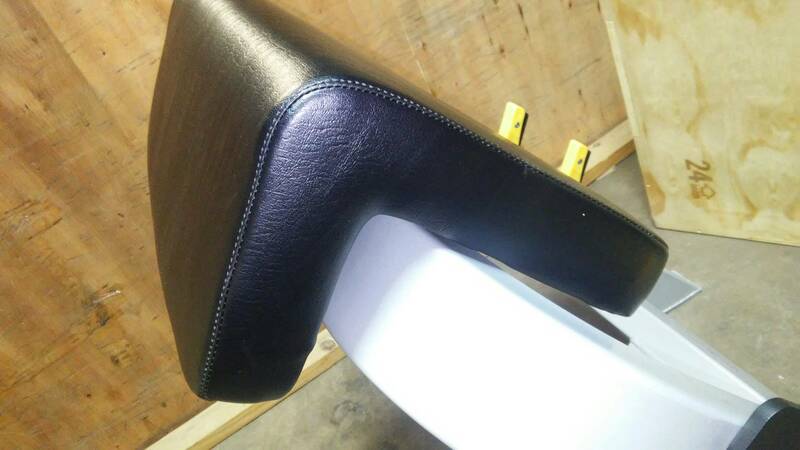 Your contact number will be necessary for shipping so that the carrier can call you to coordinate a convenient delivery time. 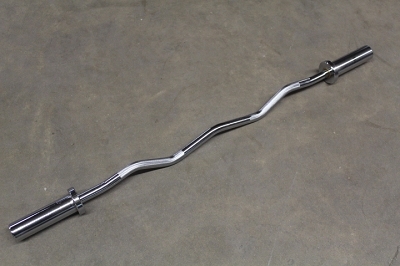 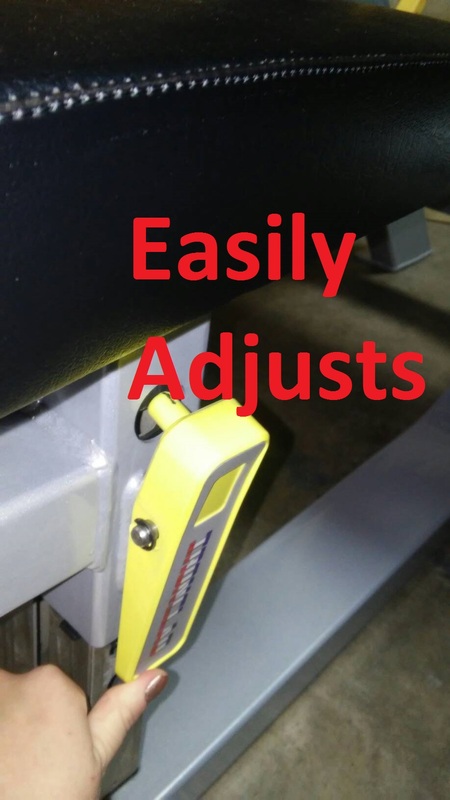 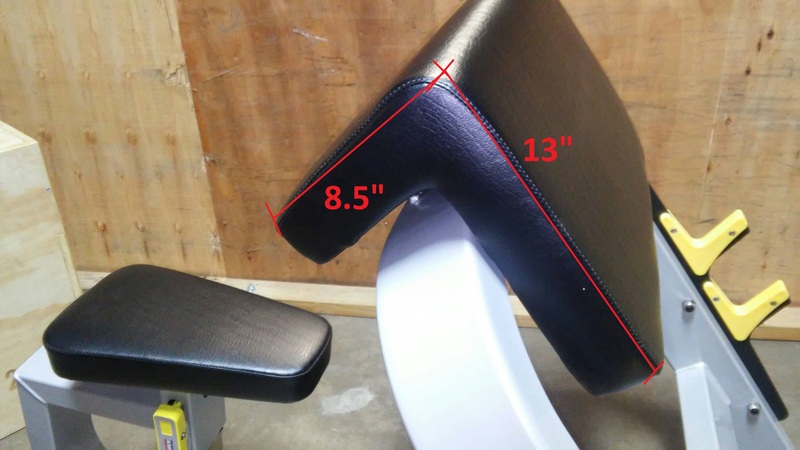 Length from the top of the pad to the first hook: 22"
Length from the top of the pad to the second hook: 28"
Seat height has 5 different easy adjustments from 20" to 26.5".